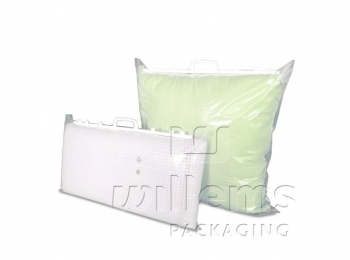 Willems Packaging has a wide range of pillow- and duvet-packaging in stock for you. 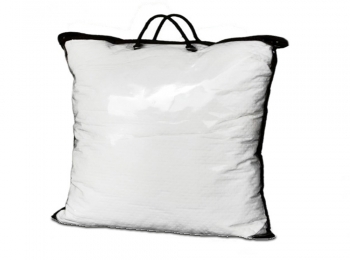 These are carrier-bags with clip-close handle and bags with zipper – made of different materials, in various sizes and available in various colours. 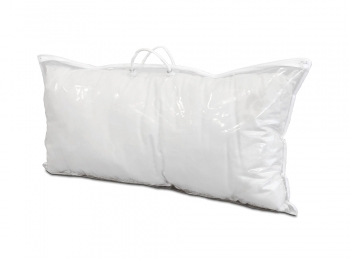 We can deliver all commonly used sizes for pillows and duvets very quickly, even in small quantities (as of 1 box). Do you regularly need large stocks? In consultation, we can check the possibility to take over your stock-function. 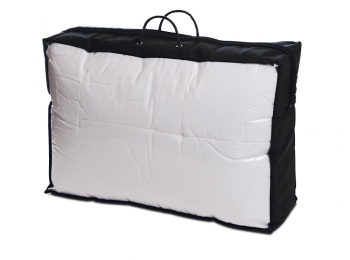 We have different sizes of bags with zipper in stock, which are available in various colours. 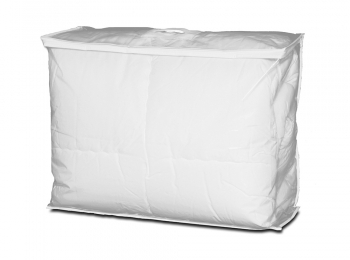 PP non-woven is a popular material because it is a strong fabric. 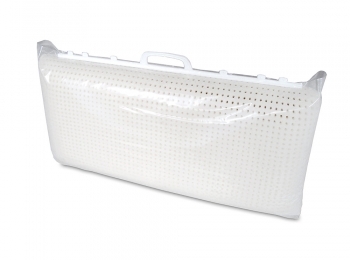 Furthermore, PP non-woven is a breathing and water-repellent material. 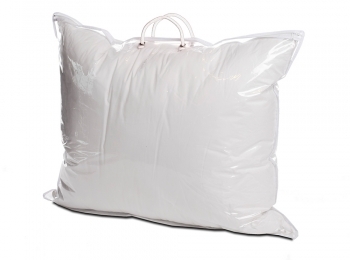 Therefor your pillow, duvet or quilt can breathe and it does not “suffocate”. 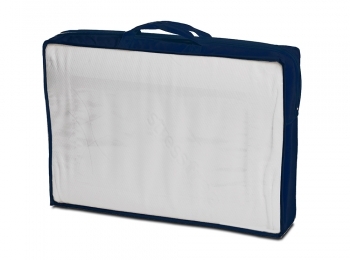 The strong zipper and handles are in the same colour as the PP non-woven. The front- and back panels are in clear and transparent LDPE. In this bag your pillow, duvet or quilt is well protected and can easily be transported. In addition, your product is equally well presented by this neat and sturdy packaging. 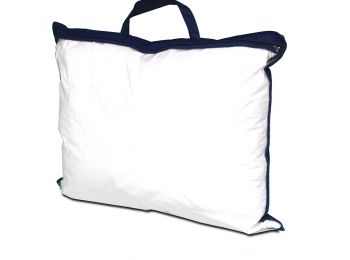 Also carrying bags with handle can be found in our stock assortment. 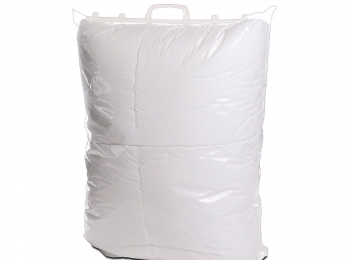 Mostly these bags are made of LDPE, but HDPE or MDPE are possible as well. 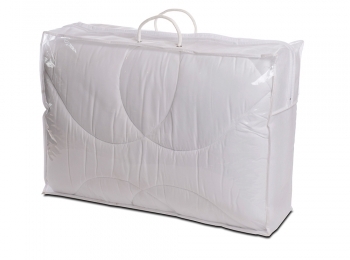 The transparent and clear material makes it immediately clear which product is packaged and it protects your pillow, duvet or blanket against dirt and dust. The plastic handle is available in different sizes and, depending on the product to be packaged, the correct size is chosen. We are experts in developing custom made packaging.